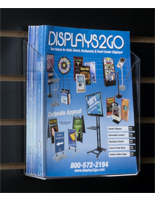 This hanging literature holder, acrylic wall fixture, displays your promotional pamphlets in modern style! 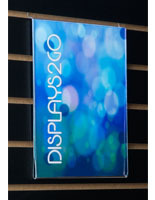 With a single pocket, fold-over design, this catalog mount system stands out visually. 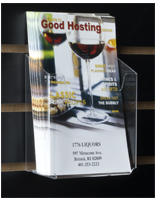 This hanging literature holder dispenses essential business material without using space on a floor or countertop. 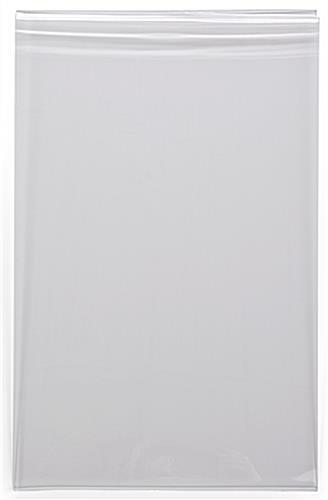 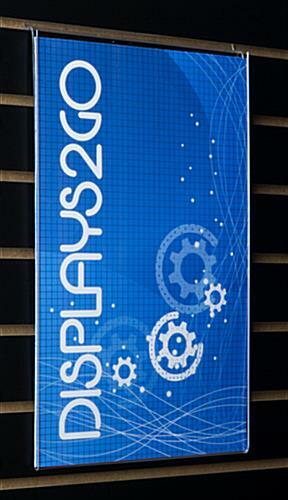 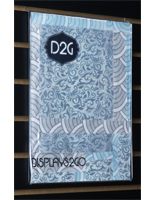 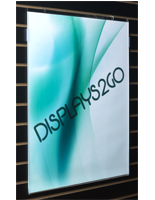 This acrylic display reveals the contents, which entices customers to read about your company. 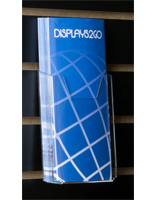 This hanging literature holder requires no mounting hardware. 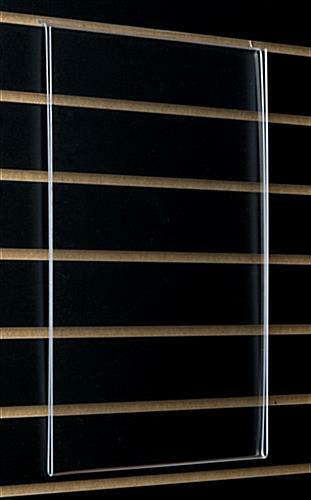 This slatwell-compatible system can be mounted to a wall that is fitted with standardized grooves, with hooks!